LumiBox is a high quality Catholic subscription box delivering a curated box of Catholic art, music, products, and daily devotionals every month right to your door. Highlighting the best in Catholic companies, artists, and makers. 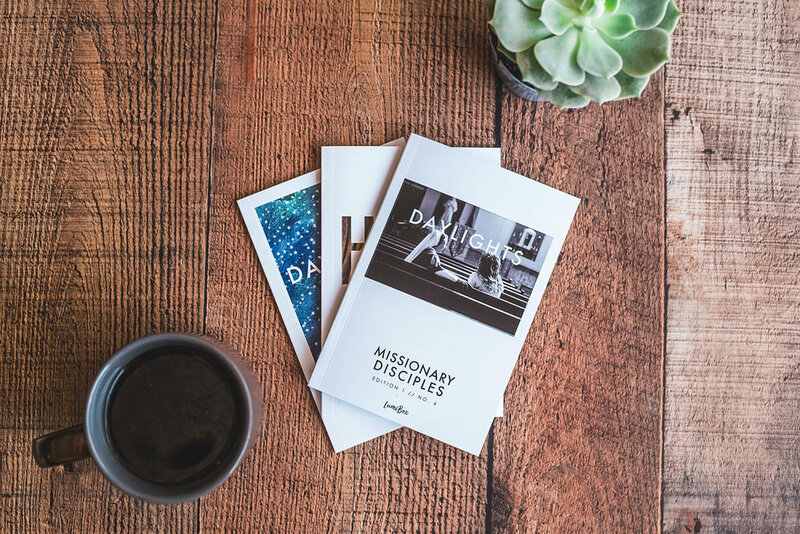 Each month you'll also receive the new edition of Daylights, our monthly mini-magazine. Enjoy daily devotionals, highlights from the month's box, and updates on the ministries supported by LUMIBOX. We work hard to partner with Catholic artists, musicians, and small businesses to bring you gifts that will add value to your life and strengthen your faith. 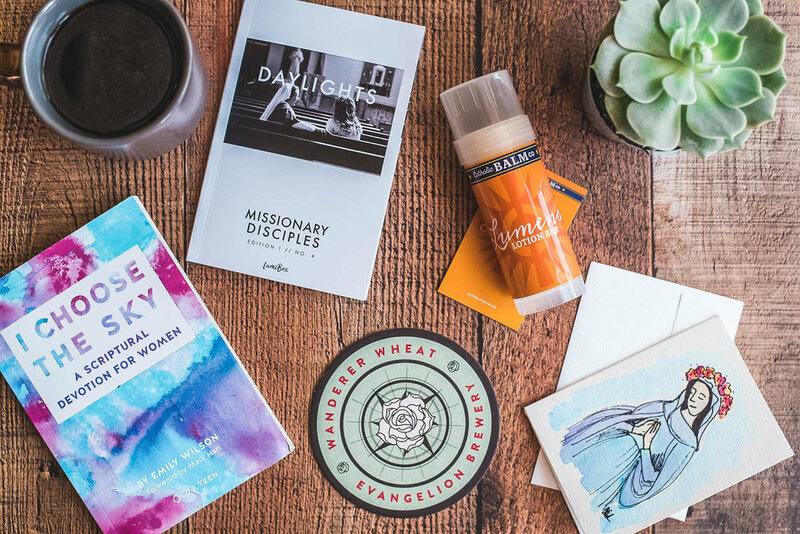 Peek inside the Daylights daily devotional and mini mag! Join the newsletter for a free ebook and updates on the first box!